Cancer is a disease created by the uncontrolled division of abnormal cells within a particular area of the body. Some cancer can be treated and cured while some is incurable. This year alone, more than 1.6 million cases of cancer will be diagnosed and nearly 580,000 Americans will die from this disease. Anyone can develop cancer but the risk of cancer diagnosis increases with age, with most cases occurring in middle age or older adults. With more than 1,500 people dying from cancer each day, this disease is the second leading cause of U.S. deaths, representing nearly one in every four deaths. The good news is that more people are surviving cancer. Between 2001 and 2007, the five-year relative survival rate was 67 percent, a substantial increase from the 1975 to 1977 figure of 49 percent. However, many cancer sufferers do not enjoy the quality of life that they had prior to diagnosis. Cancer may be severe enough to prevent an individual from working and between treatments and convalescence, the person may be unable to work for a year or longer. Fortunately, many cancer patients qualify for Social Security disability (SSDI) benefits. SSDI has different eligibility requirements for different types of cancer. Some cancer patients have other Social Security disability diseases that qualify them for benefits even if their cancer does not. 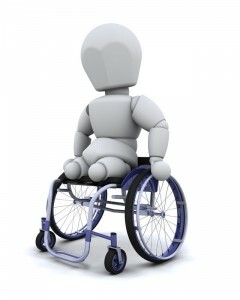 There are many cases in which SSDI benefits will not be provided to cancer sufferers. Undergoing radiation therapy or chemotherapy is not enough to qualify for benefits. If surgery is required to remove the cancer, the disease does not spread or reappear, and the person returns to work within 12 months, SSDI benefits will not be provided. As one example, lung cancer will only qualify for SSDI benefits if it recurs or metastasizes after resection, is uresectable, or excision was incomplete. If it falls into the categories of oat cell or squamous cell carcinoma, metastases must extend beyond hilar lymph nodes. Other histologic types of carcinoma including mixed-cell and undifferentiated types must also metastasize to these lymph nodes to qualify as Social Security disability diseases. Cancer comes in many forms and severities and understanding how the Social Security Administration classifies each one can be difficult. Cancer sufferers should contact an SSDI lawyer to determine whether the types of disabilities they have qualify for SSDI benefits. If they are entitled to income when they are out of work for longer than one year, the attorney will help them get it.